This is the local cenotaph at Jodhpur and it’s a massive one that serves the whole clan of princes from that city. That’s something like a family mausoleum. Just looking at it from the picture really doesn’t do it justice. It’s more than just a nice place. I used to think that being born in the U. S. of A. was about as good as it got. However, after seeing this cenotaph and the Royal Palace of Jodhpur, maybe I missed-the-boat by not being born into this clan. 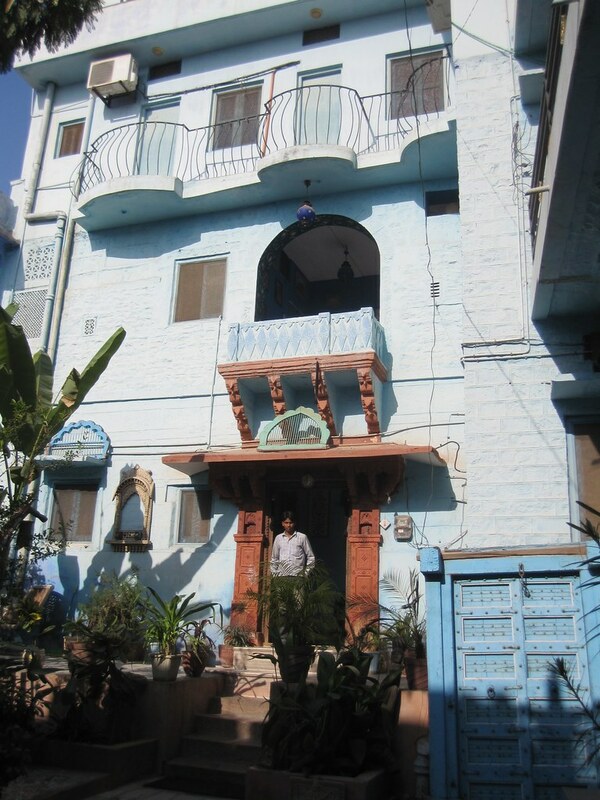 This entry was posted in Travel and tagged Jodhpur on January 31, 2011 by Steve. 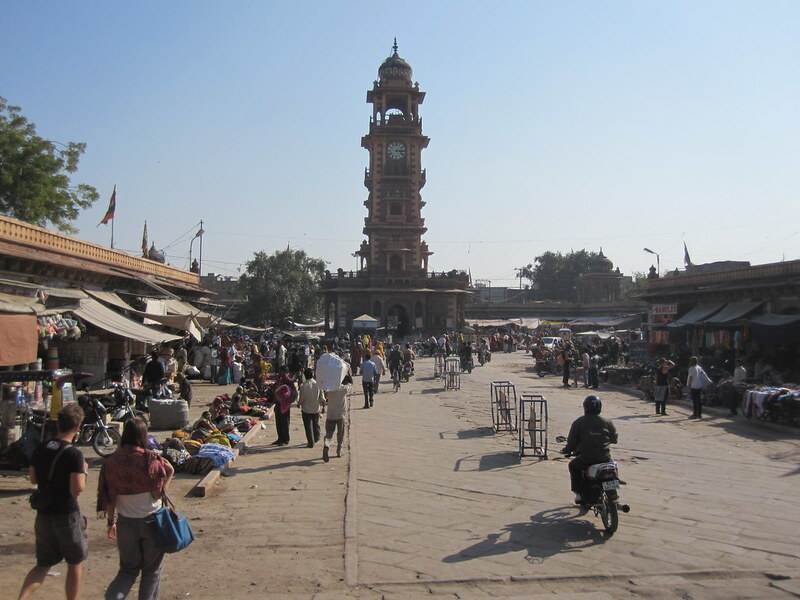 They had a nice clock tower in Jodhpur. It’s strange, but I never did notice whether it actually kept the correct time or not. As a betting man, I would have bet that the time on it was wrong, but, again, I didn’t notice. What I did notice was the bustling market in the area surrounding the clock tower. There was enough there to easily keep me busy for a full day. Plus, it was located right down the street from my hotel, making it an easy stop on the way to the hotel. It was always easier to tell the tuk-tuk driver "clock tower" than Yogi’s Guesthouse. On the way to Udaipur, India from Jodhpur, I had a ten-hour layover at Jaipur. I spent that time doing a little touring, trying to see some of the sights I missed my first time in the city. Albert Hall was one thing I got to see that I thought was really worthwhile. It was, essentially a museum of eclectic pieces of Indian history. I liked it. I found the architecture of Albert Hall to be turn-of-the-century perfect. I wanted to get a derby hat and a 1900 Cadillac car and drive up to the front. 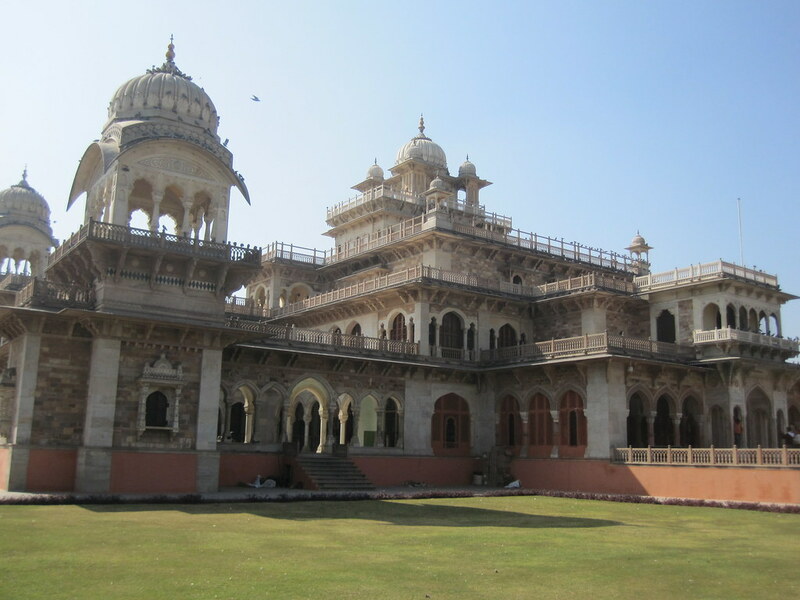 This entry was posted in Travel and tagged Jaipur, Jodhpur, Udaipur on January 31, 2011 by Steve. This is the Jodphur Fort from the balcony of my hotel room. I went to Jodhpur just to see the fort. I had been traveling around India, looking at forts for a couple of weeks. 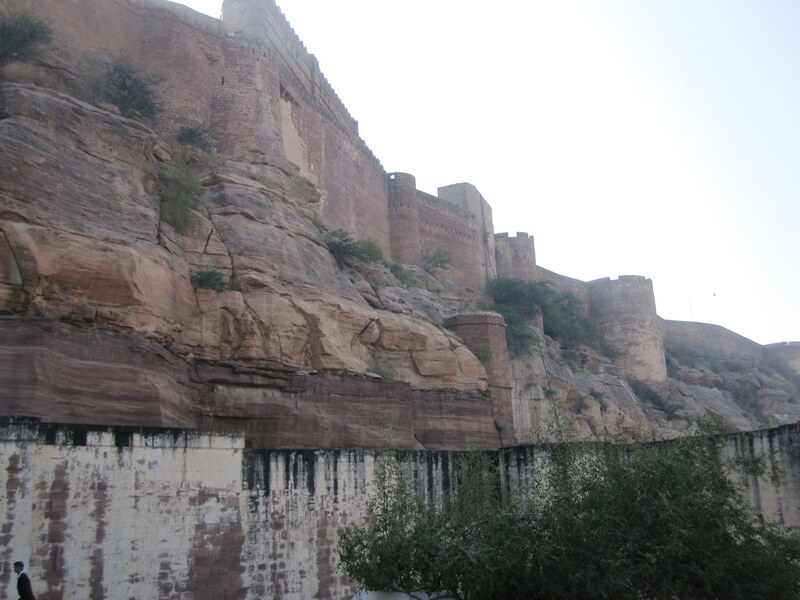 While I was visiting forts in Delhi, Agra, Jaipur and Jaisalmer I had people ask me "Have you seen the fort at Jodhpur?" when we were talking forts. I considered that something of a "tell" about the fort in Jodhpur. No one really came out and said that it was the best fort in India. Each one is, on their own merits, special. 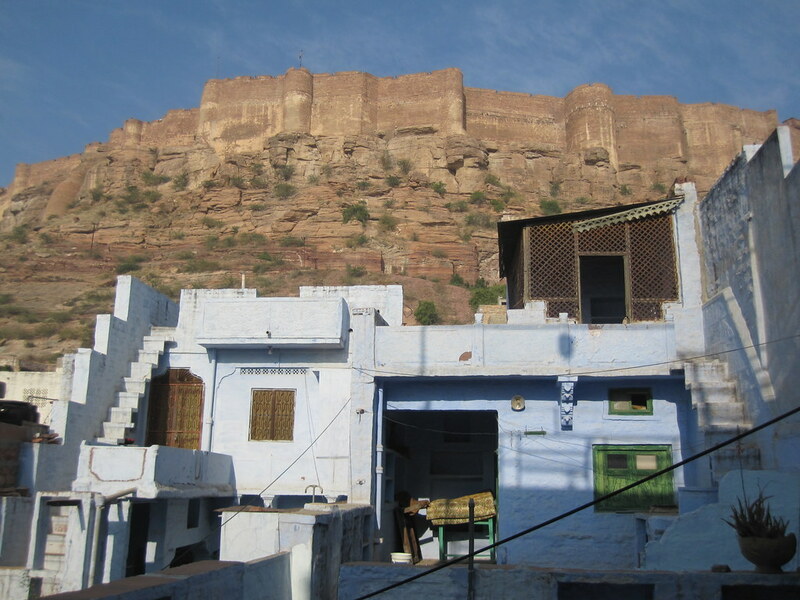 But the fort at Jodhpur, well, it’s a fort a fighting man can appreciate. It just seems impregnable when you are inside. The walls are so tall as to make me dizzy looking over them from inside. It costs $5 to get inside. There is a great audio tour included. This entry was posted in Travel and tagged Delhi, Hotel, Jaipur, Jaisalmer, Jodhpur on January 30, 2011 by Steve. Can you imagine trying to scale those walls to get into the fort? 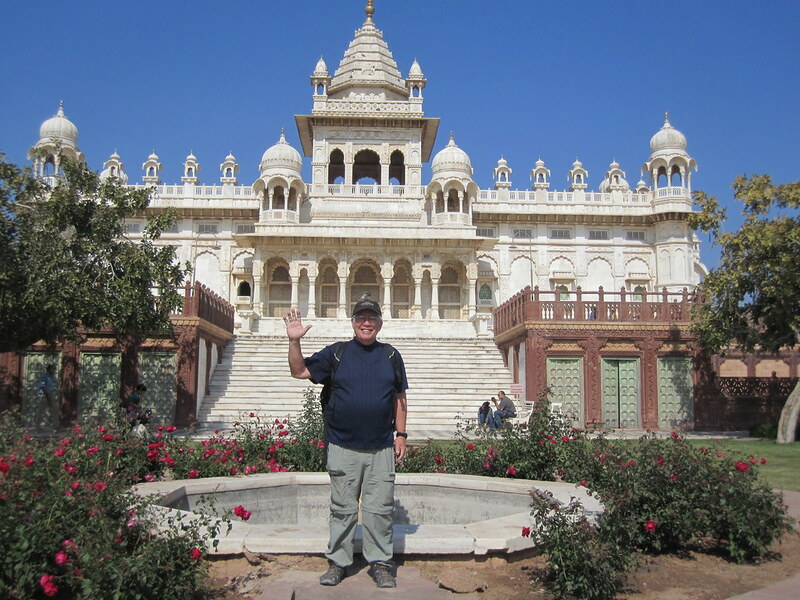 This entry was posted in Travel and tagged Jodhpur on January 30, 2011 by Steve. 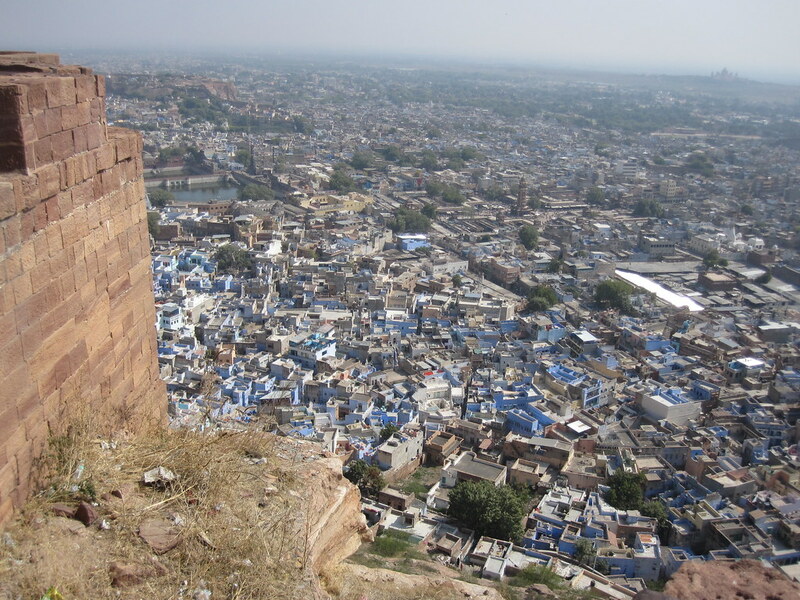 Jodhpur is referred to as the "Blue City" because people paint their houses and businesses blue. So, when you look at the town from the fort, it looks blue. Very cool.